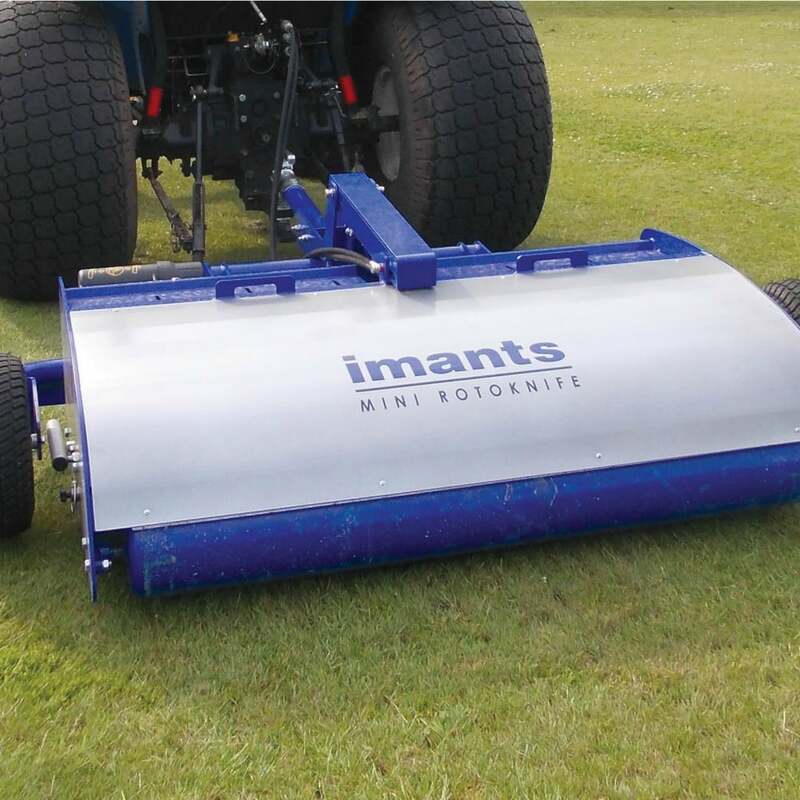 The Imants Mini RotoKnife is a linear, disc-aerator, designed to relieve surface compaction, improving aeration, reducing thatch build up and removing surface water. The Mini RotoKnife is fast across the surface and is a versatile root zone management tool. The disc rotor shaft can be set in 3 positions, giving flexibility in working depth and linear spacing, allowing slitting to a depth of 100mm, or shallow slitting at 50mm spacing. The Mini RotoKnife is available in towed or mounted format, and is compatible with most turf trucksters and compact tractors. It is ideal on warm or cool season grasses. Electric actuator to lift and lower when towed. 25hp – Cat 1: 3pt linkage/ hydraulic spools.